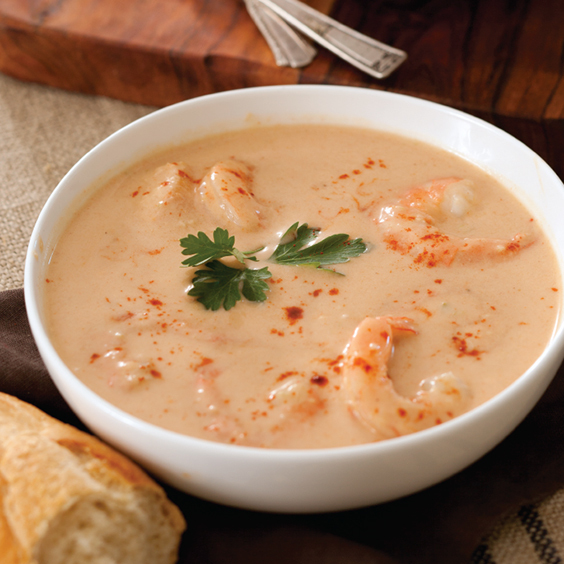 This decadent shrimp bisque is a show-stopper. In a large Dutch oven, melt butter over medium heat. Add flour and cook, stirring constantly, 6 minutes. Stir in onion, celery, bell pepper, garlic, and Old Bay. Cook, stirring constantly, 7 minutes. In the container of a blender, combine onion mixture and half-and-half. Blend until smooth and return to Dutch oven. Add Shrimp Stock, brandy, tomato paste, and smoked paprika. Bring to a boil over medium-high heat, then reduce heat and simmer 35 to 40 minutes. Add shrimp and cook until shrimp are pink and firm, 8 to 10 minutes. Garnish with a drizzle of sherry and chopped parsley, if desired. Serve with French bread. In a stockpot, combine 10 cups water, shells, onion, celery, bell pepper, wine, parsley, peppercorns, and Old Bay. Bring to a boil over medium-high heat, then reduce heat and simmer, uncovered, 1 hour. Strain through a fine wire-mesh strainer, discarding solids. 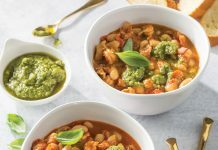 Refrigerate up to 3 days or freeze for 3 months. 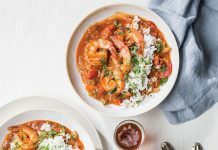 Save shrimp shells in your freezer until you have enough for stock. I am looking forward to making this one…I will want to retrieve this recipe….Sounds delicious!! im so lucky, i live just up the hill from a shrimp proccessing packing facility. i can get fresh shells by the truckload. oh my yumminess. thanks,for sharing. Our seafood market will give me fresh shrimp shells, if I ask for them. Much faster than accumulating them in my freezer! I am anxious to make this . . . it looks fabulous! Added scallops. Really good flavor. Slightly thin but thickens as it cools. Maybe a bit less liquid. Added creamed corn and mushrooms to leftovers. Might try potatoes next time also.